West Palm Beach area fans of the Miami Dolphins seem to agree that letting go of head coach Adam Gase was the right move. 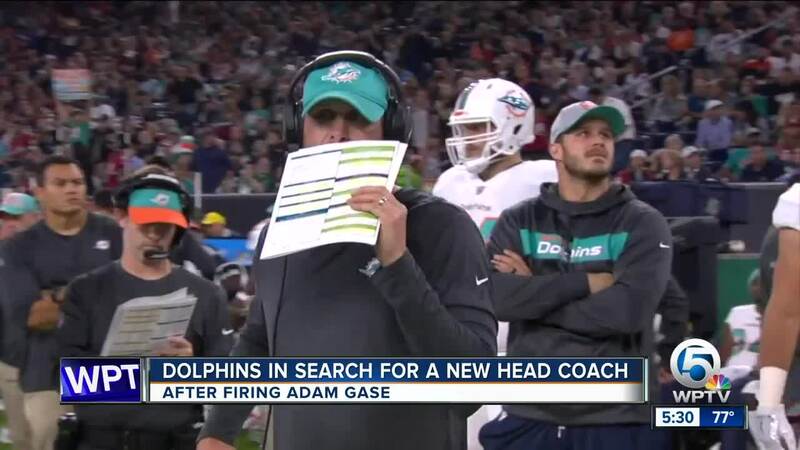 MIAMI, Fla. — South Florida fans of the Miami Dolphins seem to agree that letting go of head coach Adam Gase was the right move. "Yes, it brings a smile to all our faces," said Jill Gavagni, who was among the crowd of people at the Brass Ring Pub in North Palm Beach on Monday. "I’m sure he gave it his best, but it's not working, he's not a good fit." Dolphins' owner Stephen Ross made the formal announcement about Gase’s firing on Monday after the team ended the year with a 7-9 record. "Adam is a very bright guy, he's worked his tail off and unfortunately things didn't go the way we all hoped," Ross said. Dolphins fans expressed frustration with the coach and a team that last won the Super Bowl 44 years ago. 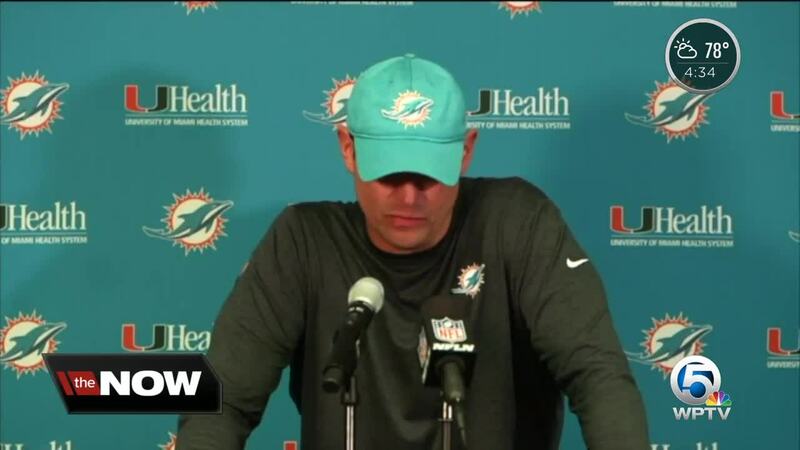 "If you look at his record, he's a sub-500 coach," said Dolphins fan Angelo Gavagni. "We're never going to get there we can't hold on to 1973 forever."